Don't see many Mk1 in white, must be a rare colour? Looks good. And pretty rust free for a mk1! I remember seeing the pictures in the brochures as white being an option colour, but very rare to see, I can't ever remember seeing a white one! Notice it's an EC prefix on the number plate, that's the Kendal area. Probably supplied by Hadwins or Parker & Parker. 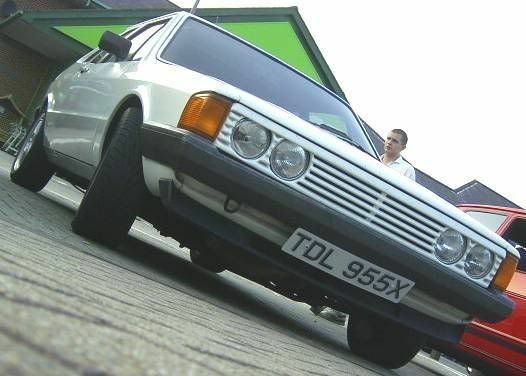 Very odd to see that type of early front panel on an X reg car, maybe changed at some point? 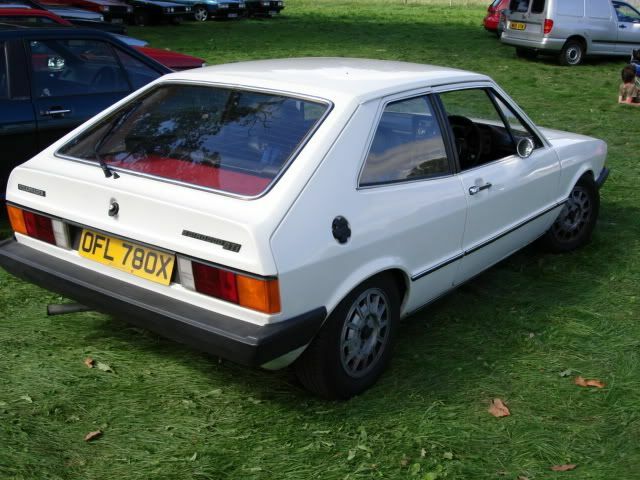 I think (although I might be wrong) that white was only a GTI colour - hence the rarity. I do remember another white GTI kicking around a few years ago (not the repainted white show car on air ride). All the paper stickers are intact in the hatchback area - and the colour code relates to Alpine white. Interesting observation re the frontpanel - think its had a bump to the F/O/S sometime way back when - so that would tie in. A flick through the UK brochures on driversfound.com confirms that white was only a GTI colour for mk1s - with the red interior. Baikal blue and Mars Red seem to have been the popular choices. As seen back in 2006 - bought by the chap I got my Baikal project car from for about £1300 and sold a year later for considerably more to someone in Germany I believe. My own pictures from e38 2006. Seats had been recovered even then. Is that an early front lip on it ? 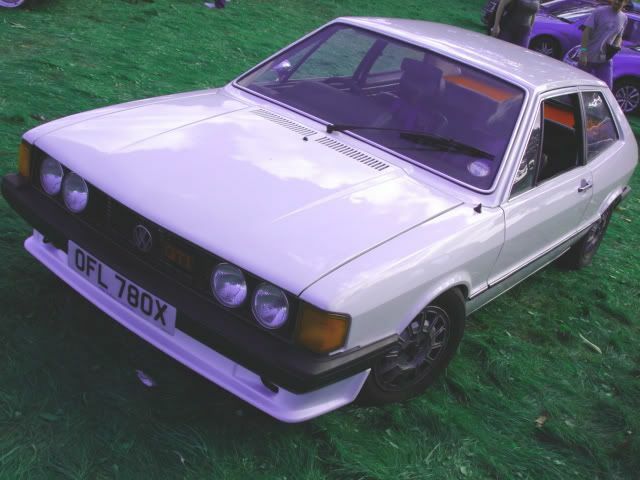 I'm more at home with old Fords and Imps and don't have an in depth knowledge of the Scirocco. Is the concensus that the front panel and lip are typical of and earlier build date? As stated previously I'm pretty certain that it had a F/O/S bump at some point - so that could tie in with replacing the front panel with what was available at the time? Yes, it's an early front panel. Very nice got some potential. Due to a change in circumstances the GTI will be going up for sale this weekend - I will sort an advert on here first and then it will go on car and classic. Thanks to all who have assisted in getting it this far! Cheers All. Sorry to hear you have to sell it, did you get it on the road and drive it? In a word No. But its not far off - it's the usual story - far too many cars/motorbikes and nowhere near enough time to do them justice! So everything is in the firing line for getting sold except my RS2000 and Lotus. Thanks for your help with the fuel lines!